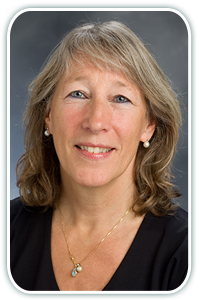 Home >> Providers >> Ulrike Korte, M.D. Dr. Korte joined North Atlanta Primary Care in 2015 and is seeing patients at our Johns Creek location. Originally from Germany, Dr. Korte graduated from Medical school in Bonn, West Germany. She completed her Internal Medicine Residency at Georgetown Medical Department in Washington DC. She has been practicing Internal Medicine in Metro Atlanta for the past 30 years. Dr. Korte offers complete internal medicine care and likes the challenge of multiple organ systems management, with emphasis on prevention, wellness, and early disease detection. Dr. Korte likes a team approach of close cooperation and personal communication with specialists for optimal and cutting edge disease management and patient care. Dr. Korte is a Contract physician for the Consulate of the Federal Republic of Germany and the Consulate of Switzerland in Atlanta and the Southeastern United States. She is fluent in English and German. Dr. Korte is the proud mother of her son, a rising sophomore at Boston University, and Division I soccer goal keeper for the Boston Terriers. In her spare time, Dr. Korte has a passion for horses, sports, Zumba and cello music.